VINYL ON VINYL: HERAKUT in MNL! The popular German street art duo is coming to make their mark. HERA + AKUT = HERAKUT. This talk is open to the public and requires pre-registration. This talk is open to DLSU-CSB students only. 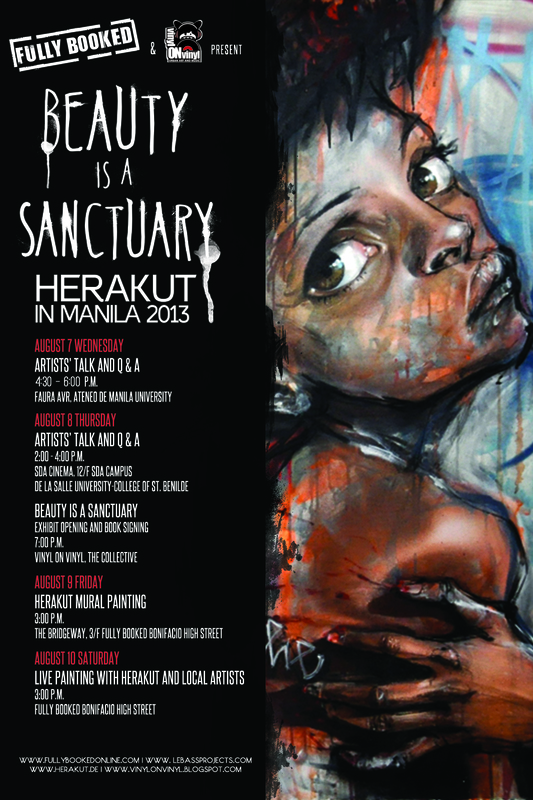 Watch HERAKUT paint a mural in the design section of Fully Booked. This event is presented by Fully Booked and Vinyl on Vinyl.